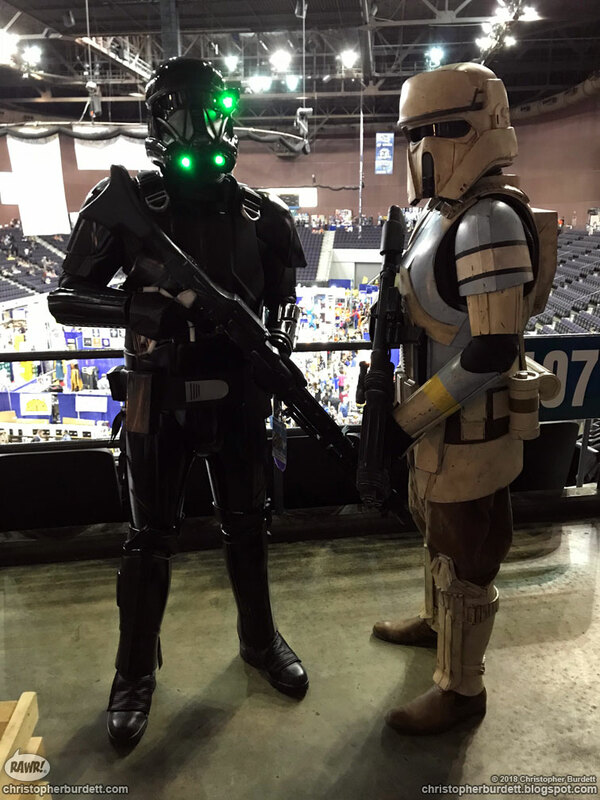 Another amazing Pensacon has come and gone. I can not say enough good things about the convention, those that run and work it, and the attendees. Three days of super fun times and really great people. Penscon 2018 outdid itself with everything feeling more fun, more busy, and more exciting. 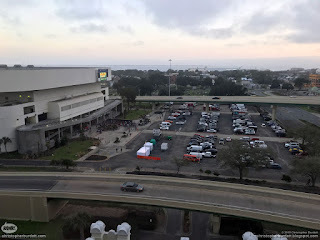 We were able to explore a bit further from the convention center this year and take in a bit more of what Pensacola had to offer. Pensacola has a lot of tasty food and drink to offer! 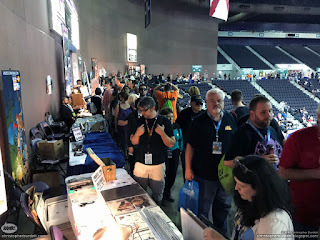 We are getting to know more regular guests and friends from outside Pensacon are starting to take part in the con as well which makes for even more fun. Pensacon 2019 is already lining up to be even better with already a stellar group of guests lined up. I hope I once again find myself returning to Pensacon as a guest, I would hate to miss out on all the fun! A HUGE thanks goes out to Mike Ensley for having me out and to all the AMAZING staff and volunteers at Pensacon 2018. Thank you so much for making my time at the con so much fun and very very memorable! Once again, somehow all our stuff barely fit into the car. 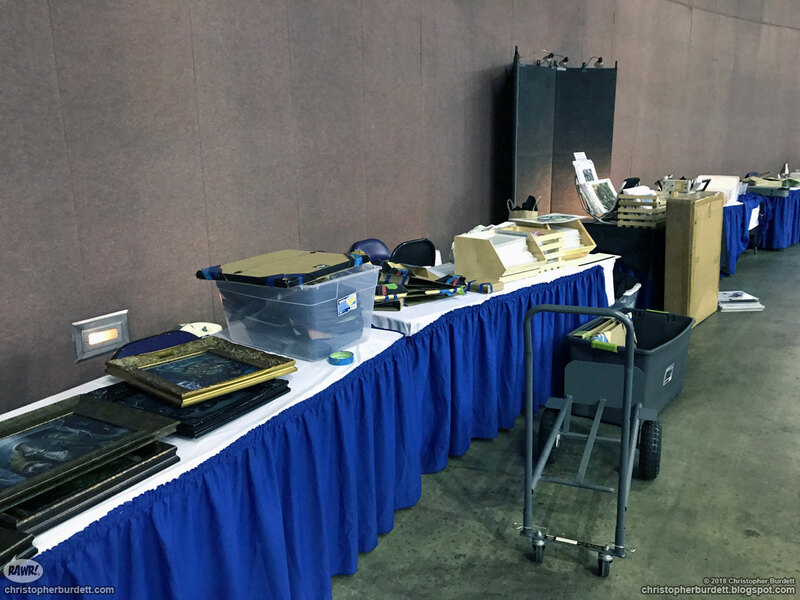 Thankfully it was easier to get everything back in after the con, since there was less of it! The mighty Face of Boe welcomes you at the convention hotel. I did not see it in use, it does have beer taps running along the sides behind the head. 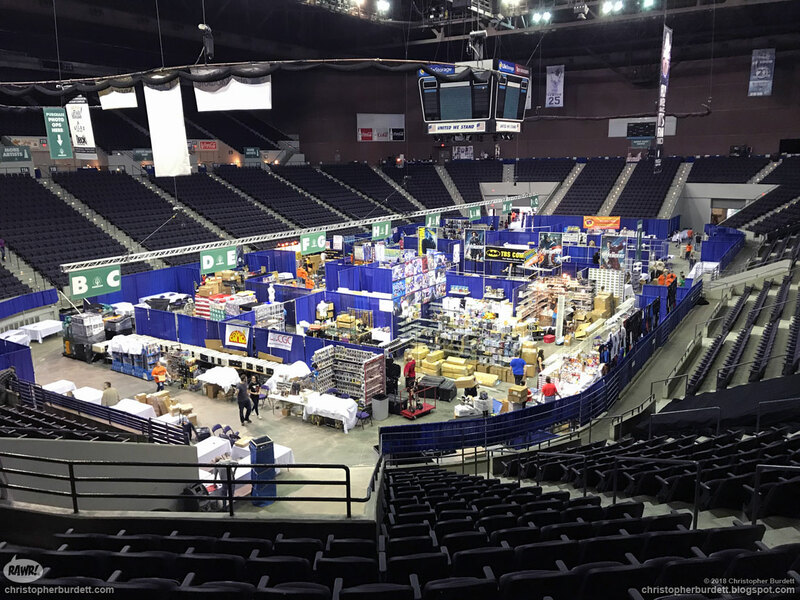 The vendor floor was a buzz of activity Thursday afternoon. 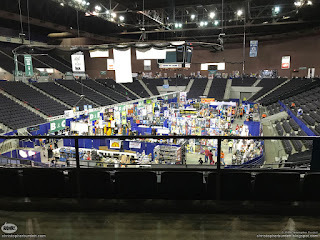 Pensacon's set up is different from any other convention that I have done and I love it for just that. 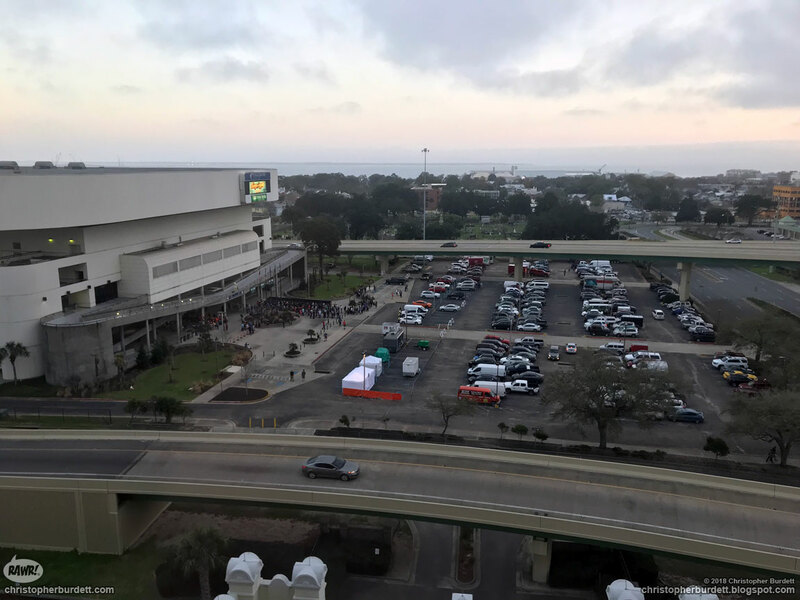 Though Pensacon has long since outgrown its venue. A look around from my view point for the next three days. This year I was against the wall and faced out into the ring. It was nice having something besides a wall to stare at! 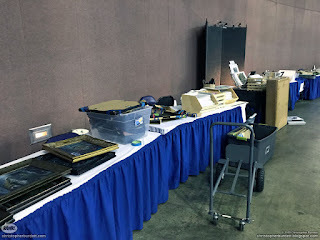 My booth came together quickly and allowed for plenty of down time and fun time before things began Friday afternoon. 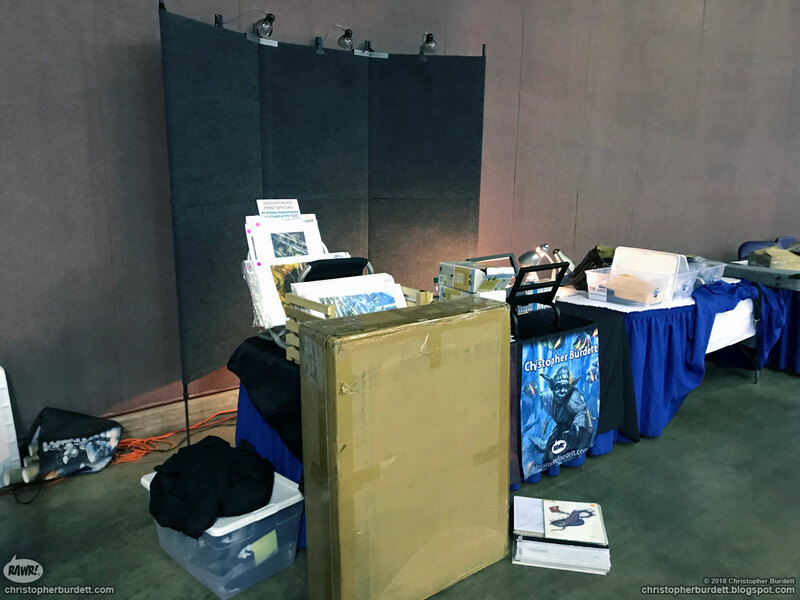 I always feel my setup looks a little better at Pensacon. The view from our hotel room this year. 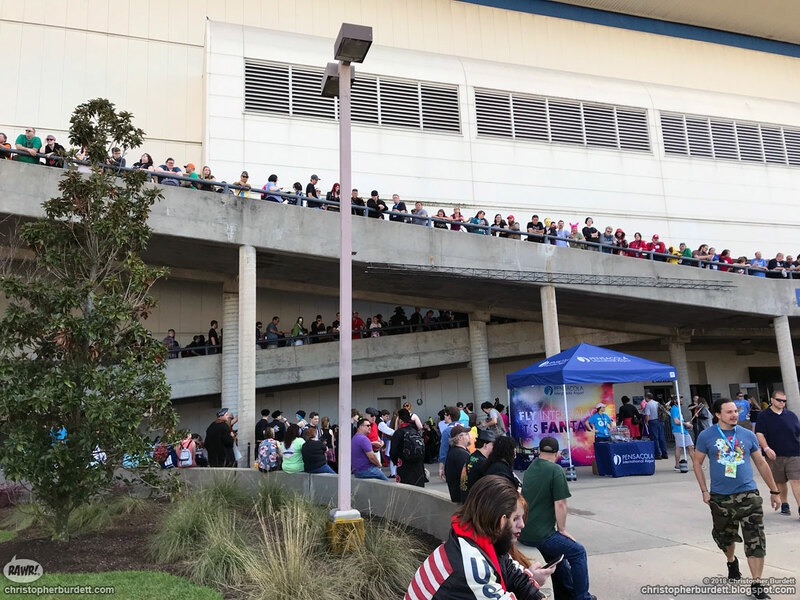 Yes, those are lines of people already forming on Thursday. 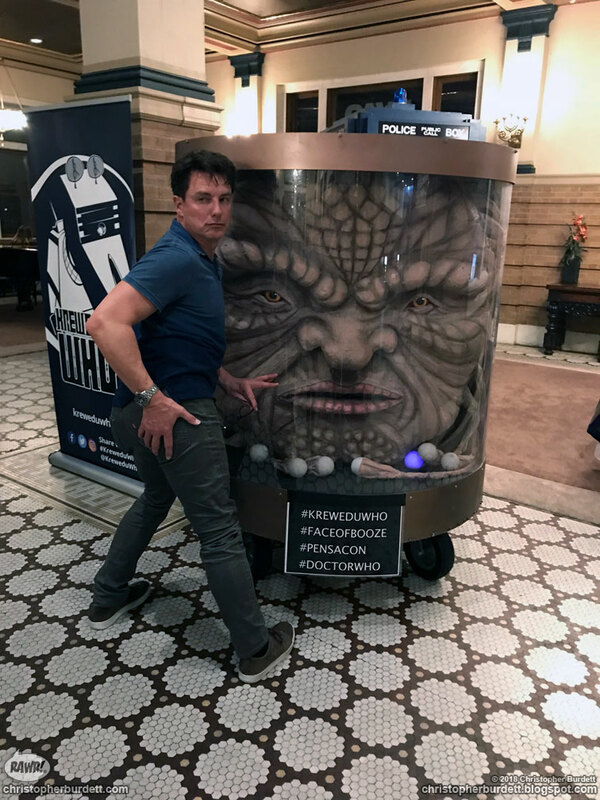 John Barrowman made a dramatic arrival at the hotel Thursday night! There were some quick photo opportunities and he vanished as quickly as he appeared. The vendor floor Friday morning before the doors open. All set up and ready to go! 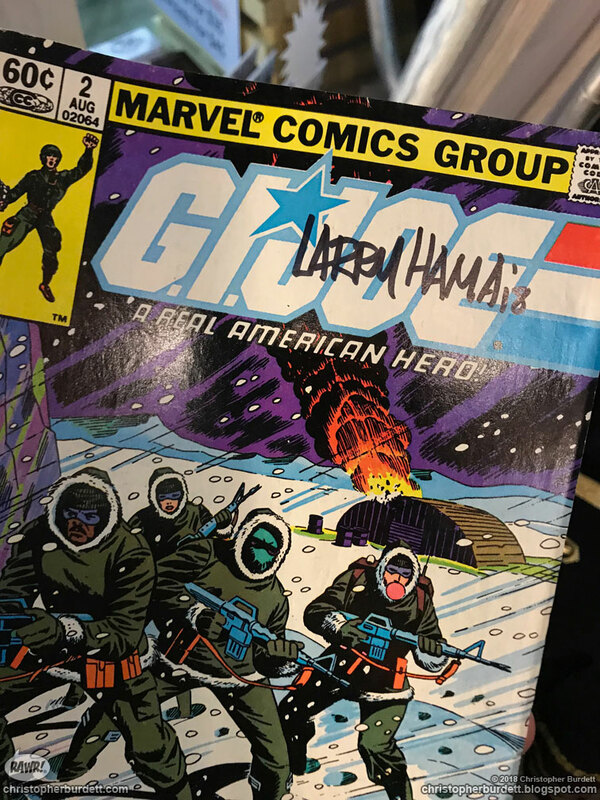 My copy of GI Joe #2 that I got signed by the amazing Larry Hama! 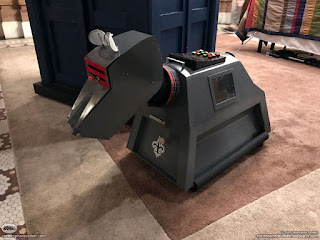 K-9 was hanging out at the hotel waiting for the Doctor to return. 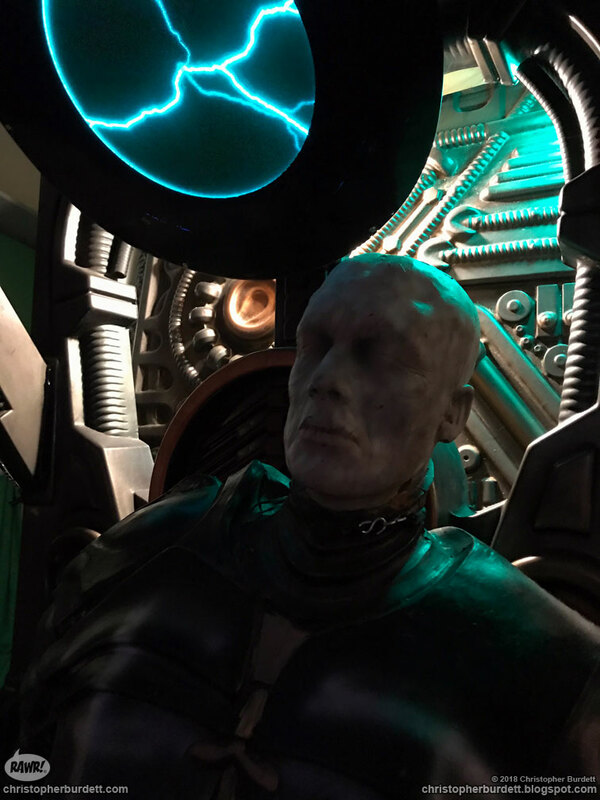 Screen used props on display at the Fish House. 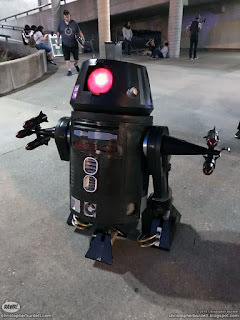 They had three different themed sections, a Harry Potter area, a Star Trek area, and a Star Wars area. Super fun times were had by many here over the weekend. 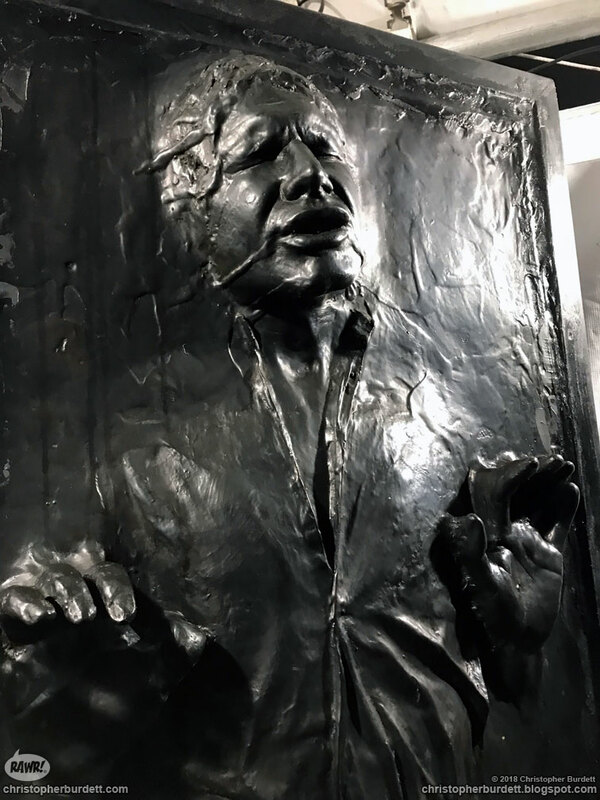 Han had one too many Warp Core Breaches to drink at the Fish House. The lines were already super long by the time I arrived at the convention center on Saturday morning. Two ramps leading up to the entrances were already full and the lines continued into the parking lot. Saturday was crazy busy and super packed with people! 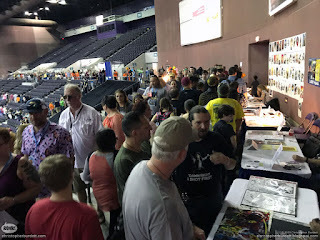 It was hard to move around on Saturday, but that did not hold people back from checking everything out and picking up one art from their favorite artists. 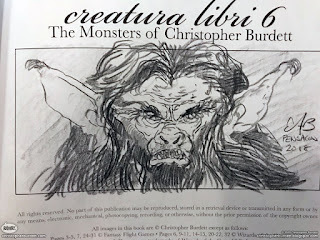 Sketchbook sketch on Saturday of a Gorax. RAWR! 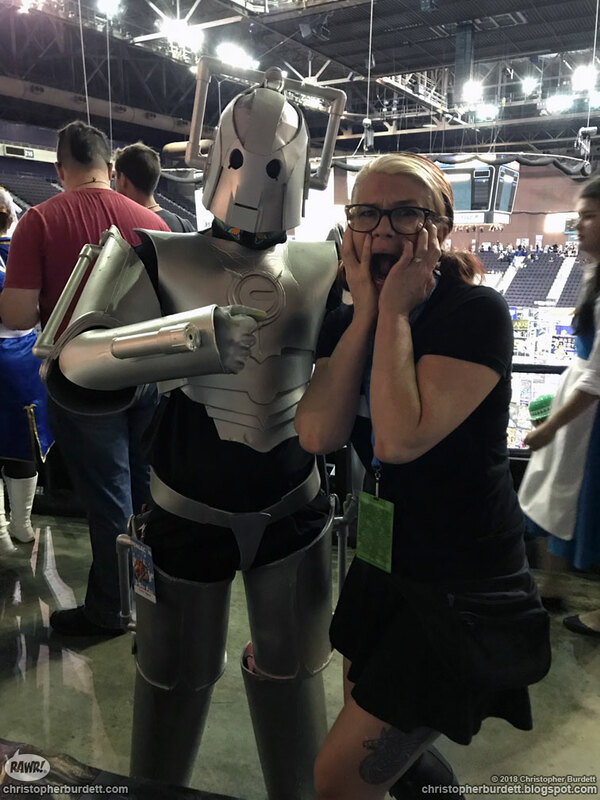 A Cyberman stopped by the booth to make friends. 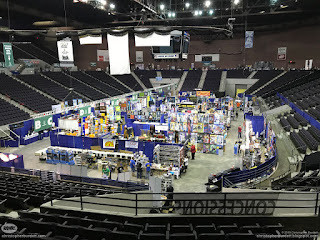 Finally got down to the vendor floor on Sunday before the door opened. 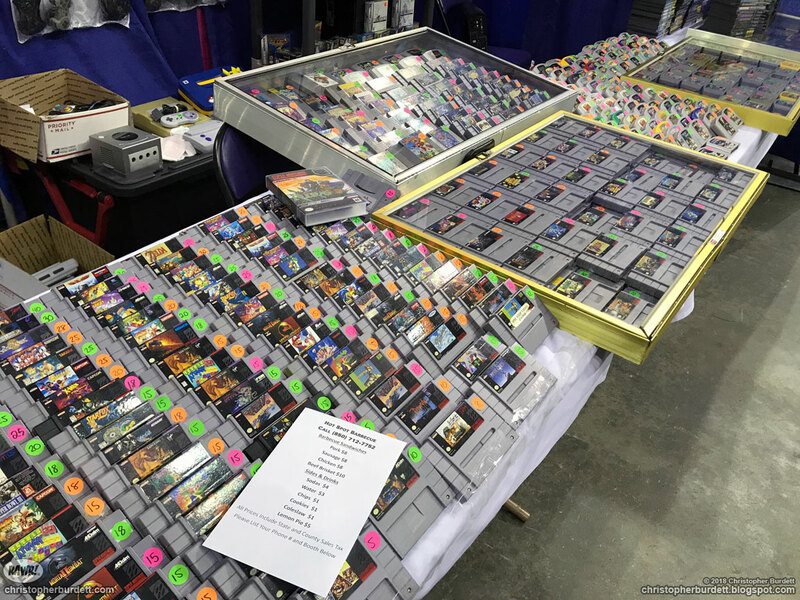 Got to see all the neat things for sale and think about a different time when there was more time for video games and less time for art. 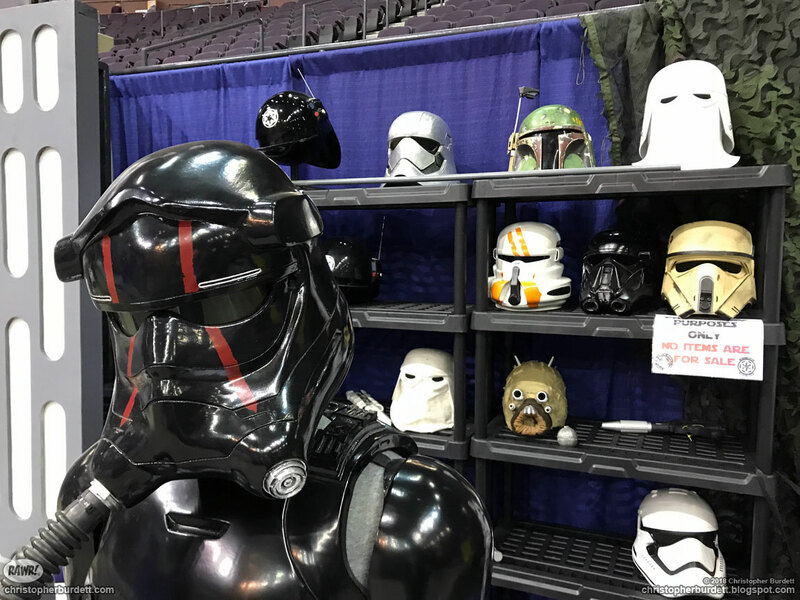 The 501st was once again in attendance and had a great display. A couple images (cut together) of the special effects panel I was a part of on Sunday. 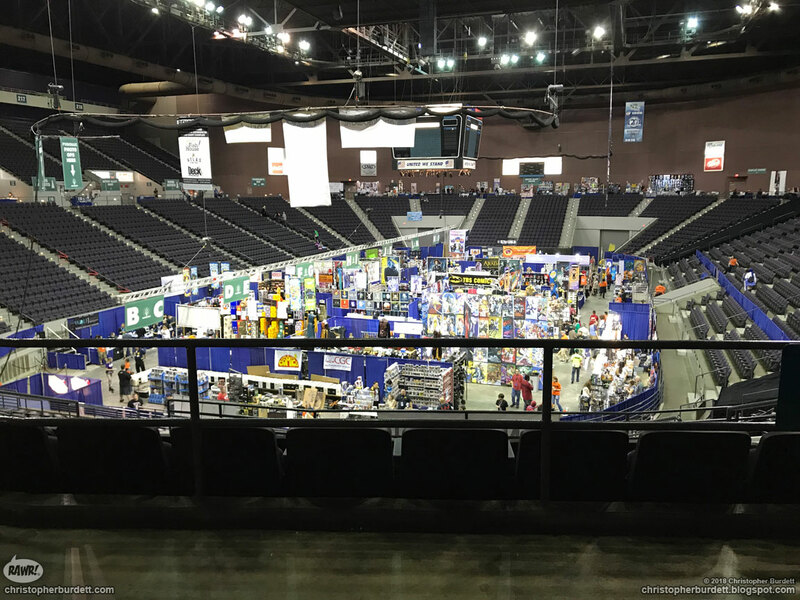 I took part in two panels this year at Pensacon. Both were SUPER fun! It felt like there were a lot more people in attendance, the moderators did an AMAZING job in both, and the other folks on the panels were super fun and we all had a great time talking about our craft and experiences. Can not ask for more. 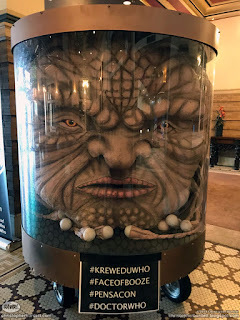 If you are attending Pensacon and not going to the panels, you are missing out! I took home this piece by Roland Paris finally. 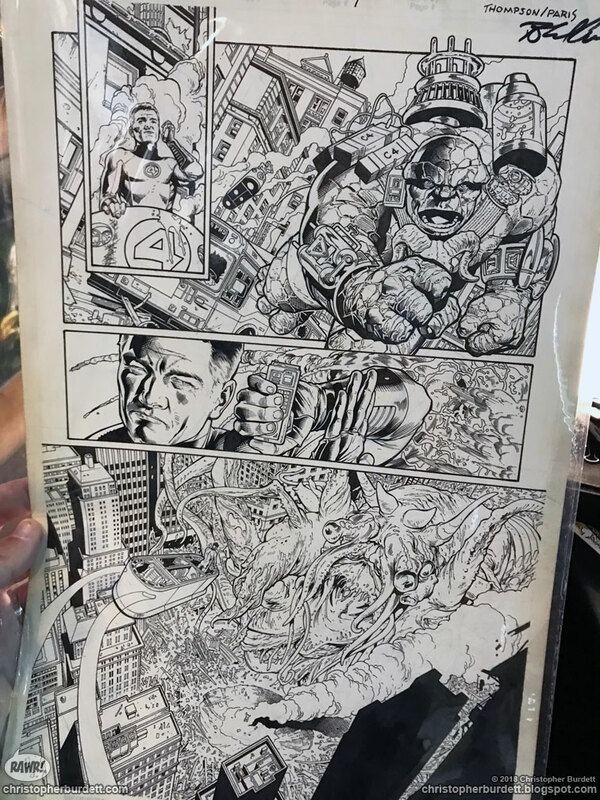 I have had my eye on it for a couple years now and it is really great to finally have a page he inked. Some of the Empire's finest stopped by the booth on Sunday. BT-1 was hanging out helping with security just hoping for someone to step out of line. 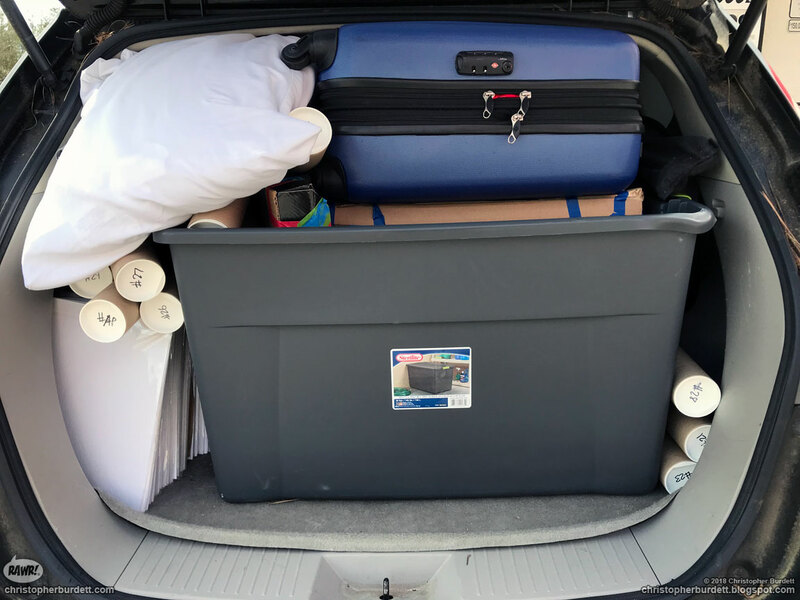 Those around me were back to pack up much quicker than I, but it allowed me a bit more room to organize and get everything packed up right. Tear down goes so much quicker than set up... but it is a lot more sad since it is now all over. 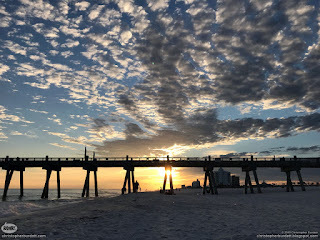 We unexpectedly stayed a extra day in Pensacola and went out to the beach to spend the night and hang out with friends. A well made decision! The very large and very weird (from this angle) Pensacola Beach water tower. Be sure to check out the Pensacon website to see who will be coming in 2019 and to follow them on social media to get the newest announcements. I hope to see you all there next year! Pensacon starts this Friday in Pensacola, Fl. and I will be there with all my monsters. In addition to all my usual paintings, drawings, prints, sketchbooks, artist proofs, playmats, mouse pads, tshirts, and more, I will have with me a mighty stack of prints that I have decided to discontinue. These discontinued prints will be marked down to $5 each or 5 for $20! I am looking to narrow my stock down a bit and Pensacon is the place to be to take advantage of these great deals. 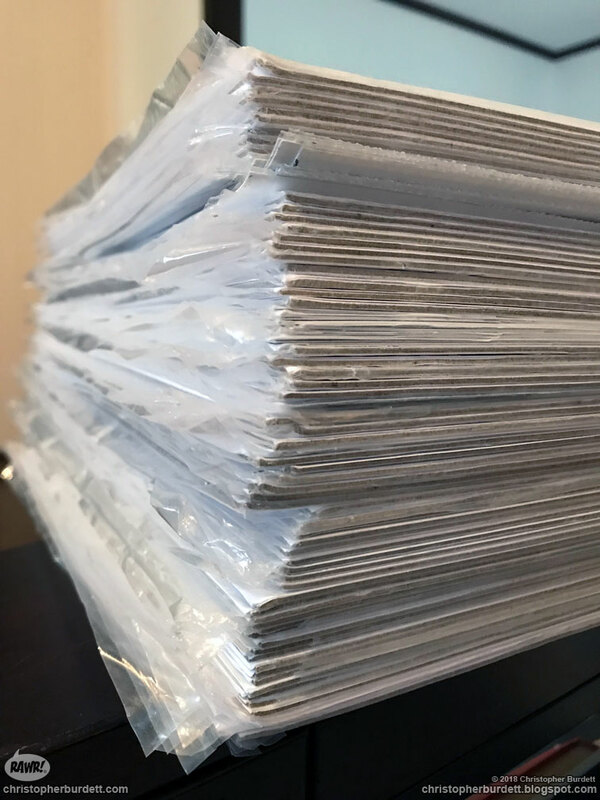 A mighty stack of discontinued prints that will be available at Pensacon! 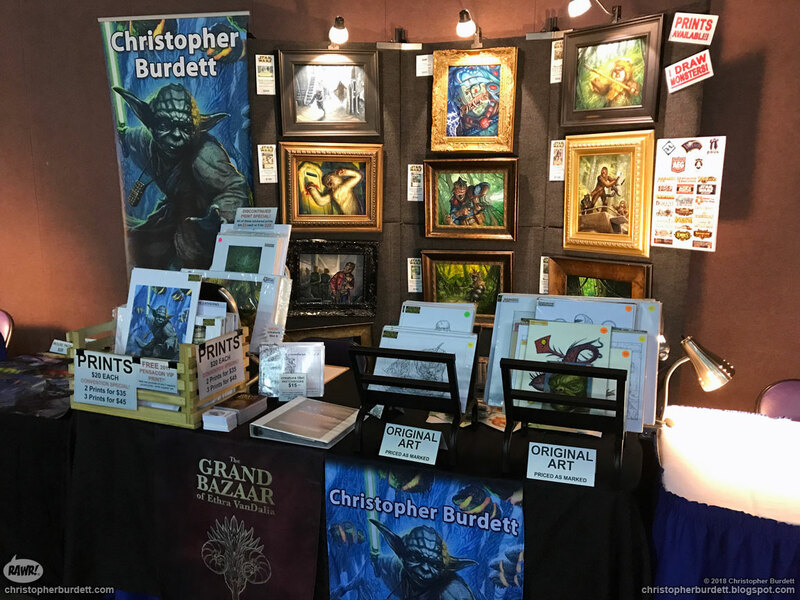 For those looking to own some of my art and are on a budget, Pensacon is the place to be to this weekend. 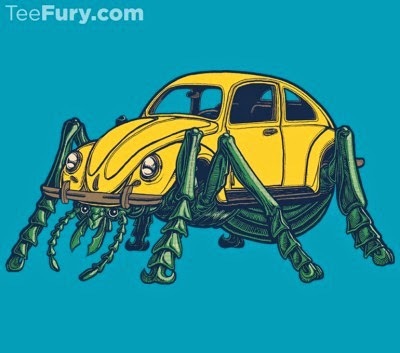 If you are thinking that there will be nothing awesome in these discontinued prints, then you would be WRONG. There are more than a few dragons that you will be able to buy! Once these prints are gone, they will forever be gone. Don't miss out! 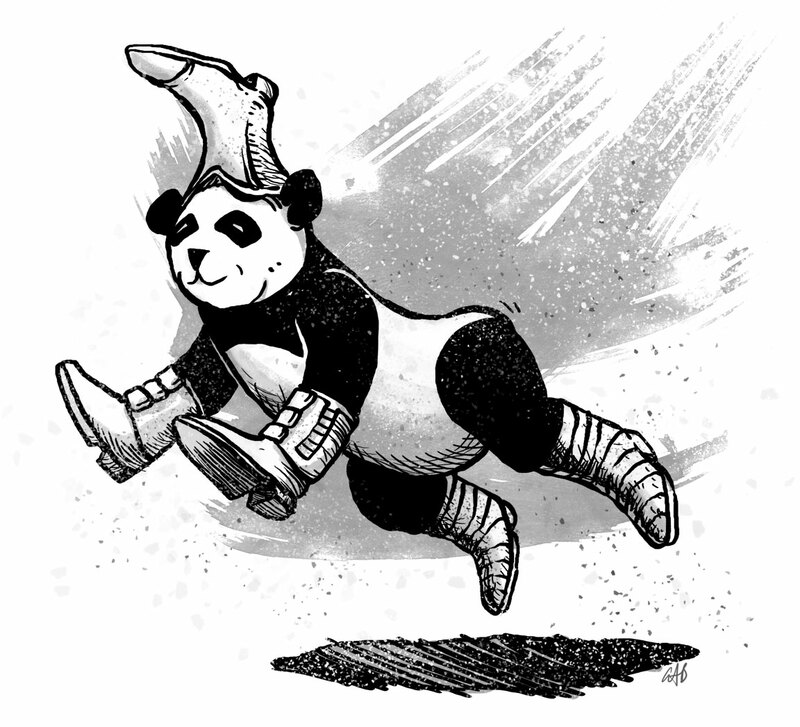 See you at Pensacon, February 23-25! The wait it over! 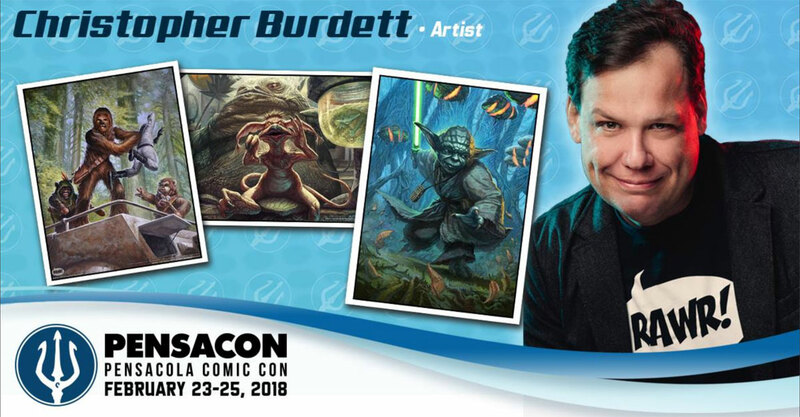 This coming weekend I will be returning as a guest to Pensacon. As I have mentioned many times here on the blog, Pensacon quickly became one of our favorite cons of the year and we are thrilled to be returning. The schedule for panels and events are up and this year I will be part of two panels as well as a judge in the Pensacon short film festival! The film festival is Friday night and the two other judges and I will be making a brief appearance at the beginning of the viewing. On Sunday I will have my two panels, Special Effects for Film & TV and Creating the Star Wars Universe. I love being part of panels at conventions like this and these should be a lot of fun. You can view my scheduled events and bio on the official Pensacon Guidebook as well as everything else that is happening at Pensacon. I can not say enough good things about Pensacon. 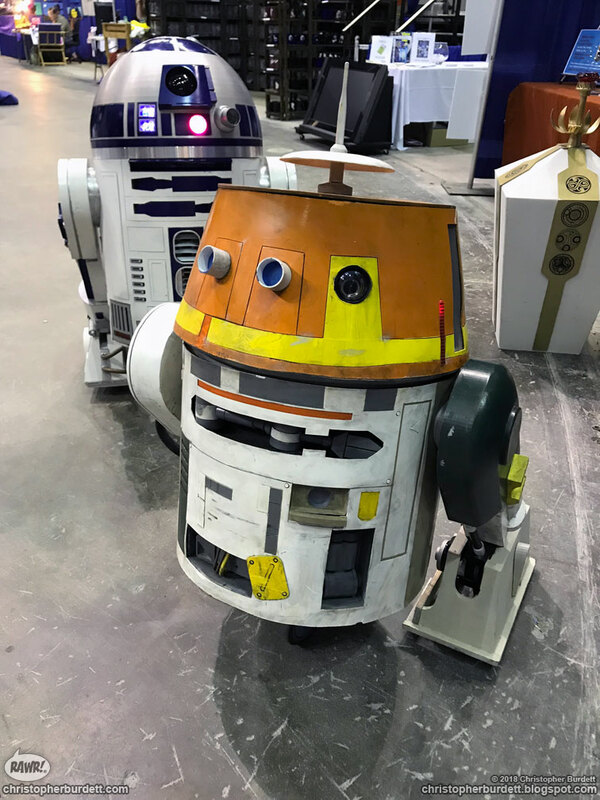 I hope if you are in the area that you come out to see all the exciting things going on at Pensacon! I will be on the upper ring that makes up the artist's alley. I hope to see you there! On February 17th, in 2009, which is tomorrow, I began this blog. If my math is correct, that is 9 years ago and somehow I have kept this thing afloat this whole time. 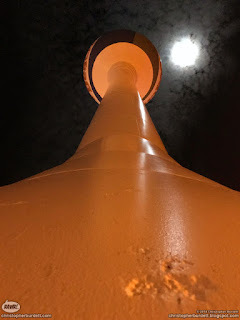 If you can believe it, this post is my 1418th post on the blog. Apparently, I can yammer on and on about things for a lot of years. Much has happened in the last 9 years, some good, some bad, and some in between. The one thing for sure is that it has been an adventure. 9 years ago I could in no way envision where I would find myself today, for good and bad. Of course in the scheme of things, I find myself exactly where I need to be! I am not sure how many folks are still out there regularly following my blog. I see the traffic spike and wane, up and down. People come and people go. It is the way of things. Here I remain, yammering on and one... That said, for the next year or so, it is going to be more and more difficult to keep this blog going with any regularity since I will be focusing on large complex drawings for The Grand Bazaar of Ethra VanDalia. There will be times when I will be very much in the weeds with drawing and writing. I will do my best to keep things going here, one way or another. Fear nought if there is a gap or three along the way over the next year. Things will even out in the end. 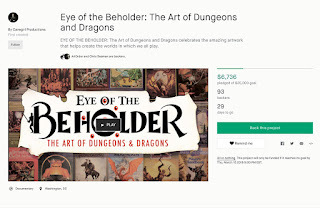 Back in October of 2016 I shared with you a teaser trailer for a project I am thrilled to be a part of, EYE OF THE BEHOLDER: The Art of Dungeons and Dragons Documentary. Time has passed, the film is done, and the Kickstarter to get the film across the finish lines is now LIVE! It is a true honor and privilege to be a part of this project. If you are interested in Dungeons & Dragons and art then this is the project for you. I can not speak highly enough about the work of Brian Stillman, Kelley Slagle, and Seth C. Polansky. I supported their documentary about the history of Star Wars toys, Plastic Galaxy, and that film personally touched me. I can not wait to finally watch Eye of the Beholder because I have no doubt that it will be any less amazing than Plastic Galaxy. 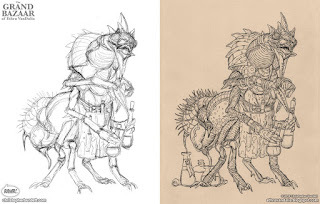 I STRONGLY urge you to take a moment to go check out the Eye of the Beholder Kickstarter and hopefully contribute at some level. 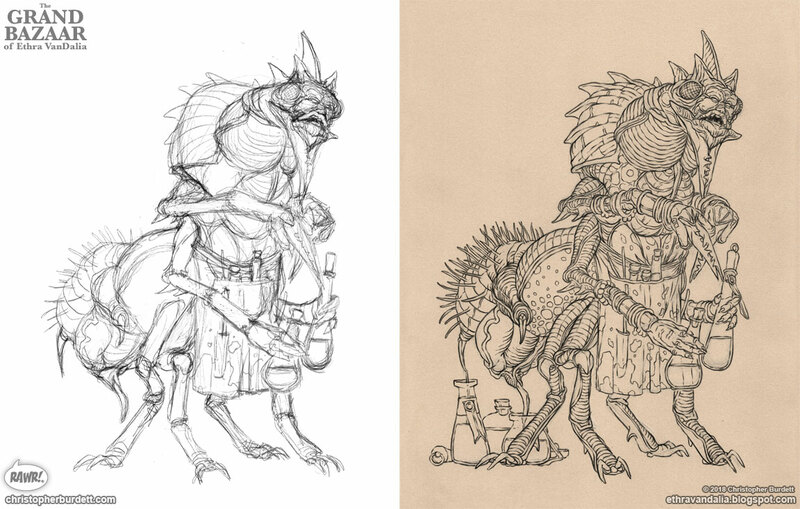 While I am satisfied with the vast majority of my illustration assignments and do not fret how they have or have not aged, I do wish often I could go back and have a chance to redo many of my miniature designs. Not that they are bad, but because I had so much fun doing them and I miss the fun of miniature designs. Not too mention that I would most likely do a much better job if I revisiting them. 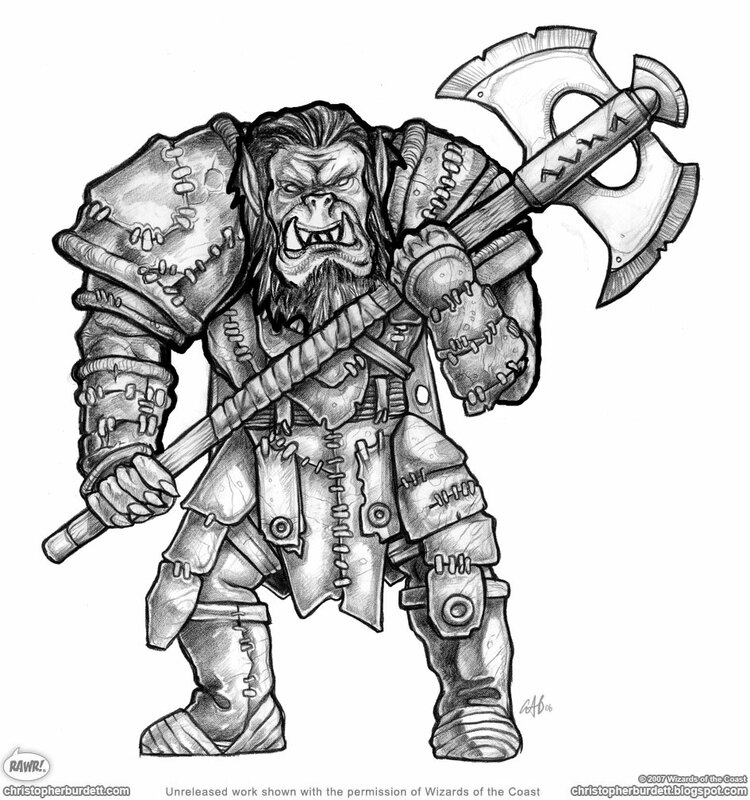 I have shared plenty of miniature redesigns and makeup concepts that I have reworked as personal practice over the years. Of course I am a HUGE proponent of moving on and not dwelling in the past and over working pieces... so I guess all those designs will stand as they are and I will look ahead to new opportunities. I should not be writing this. These are things that should not be happening now, and when they eventually have to happen it should be after a long long life. Here we are anyway, left to grieve and left to worry about all those left behind. Last week we lost William O'Connor, a husband, a father, a gracious friend, and a powerhouse of an artist. I am still trying to get my head around all this and not doing a very good job of it. The details have not been released to my knowledge, but what has been shared was that it was sudden and unexpected. I am left wondering what stole Bill from us, but does it really matter? Will it change anything? Or is it just voyeuristic curiosity? I am just trying to focus on my memories of Bill and how his art inspired me to be a better artist and a better designer. Remembering who he was and how he impacted all of our lives seems like the only thing I can do to counter the grief and confusion by his sudden death. I first became familiar with Bill's beautiful work and distinct style when I was working on 4th Edition Dungeons & Dragons. 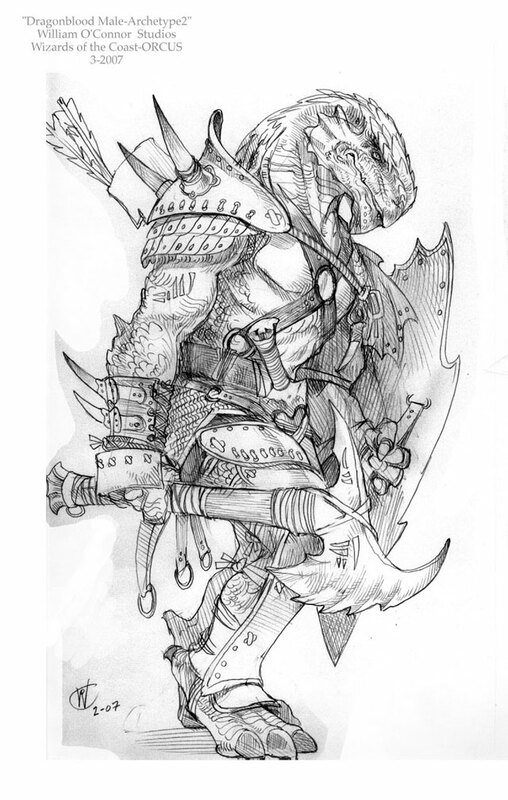 At the time I did not know it was 4th Edition, I was just working on monster and armor designs for upcoming D&D projects. 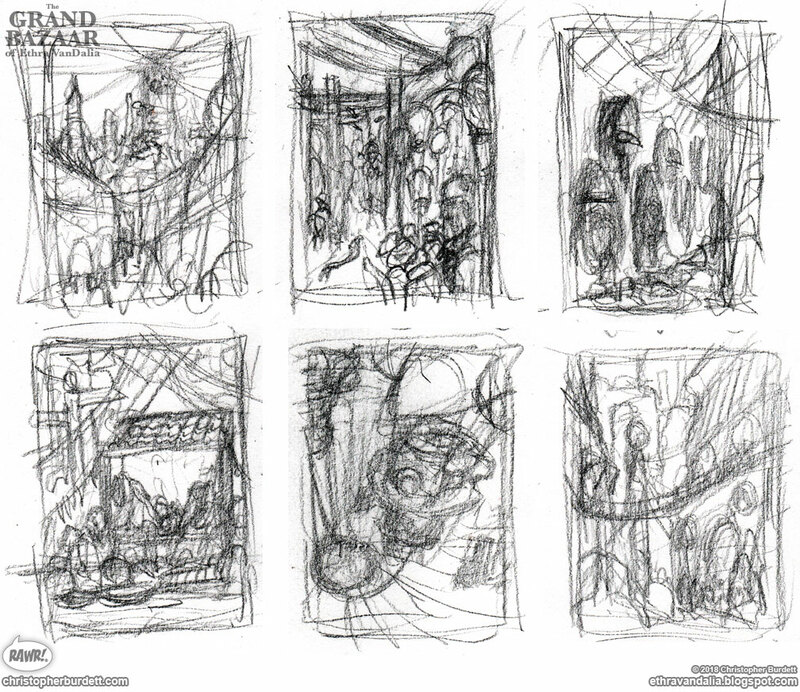 I would get loads and loads of gorgeous concept work to use and to help shape my own work. I was instantly in love with the work I was being given, I did not know who Bill was, but I certainly wanted to meet him. There was so much action, character, and detail in the work. 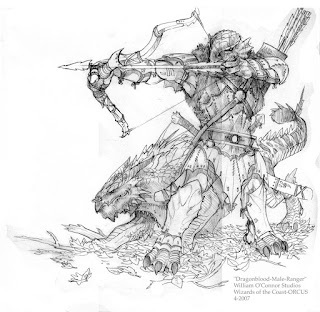 I really felt out classed and I needed to up my game if this was the work they needed me to create for D&D. For a long time in the early days of my D&D career I strived to be like Bill. He has done some truly epic work, huge involved pieces that encompass entire battlefields or cities. I chose not to share that today, instead the work I am sharing today are some of the concept pieces I was give when working on 4th Edition. These are some of Bill's pieces that most profoundly effected me. I finally got to meet Bill at Illuxcon in 2009. He was instantly gracious and eager with advice and more than happy to talk about his work, my work, anyone's work. 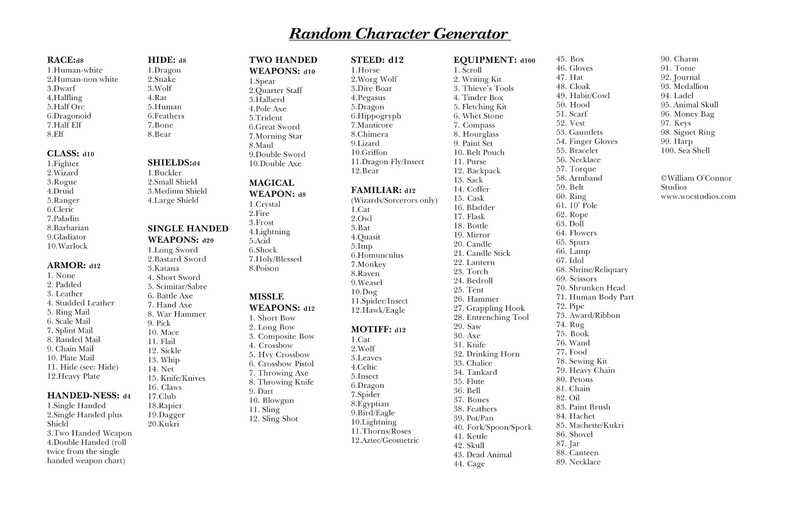 I loved hearing about how he created randomized lists of elements that he would roll dice and let fate and chance pick what a character would be or the details he would have to include. He would get the various results and then think about how a character would realistically include all the various elements. It is something he still was doing till his death. He was still posting the results on his BLOG and he made one of his list available ONLINE. 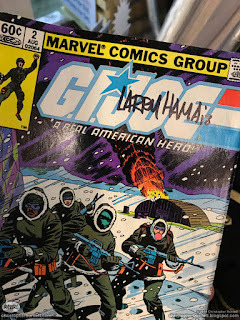 At IX he told a group of us about one character on a large battle scene cover he had done. The figure was small but still extremely detailed. Apparently his dice rolls resulted in flowers or gardening and so the fighter had flowers on him as well as a large pair of scissors. Bill imagined that this character came from a family or background of florists, and the scissors were second nature to them and as a last ditch move, when all else failed there were those scissors to use as a final weapon. Bill was so exited when he told us that story. It was infectious. I think everyone has at least one or two truly amazing Bill stories. One of my favorites was at Illuxcon when it was still in Altoona. It was late one night and folks were having parties in various hotel rooms. Some of the details are lost to me, but someone had brought a board game to IX that Bill had done the cover art for. It was a big battle scene and a really great piece. The intentions were to get the board game box signed by Bill. The game was still in the plastic and everything. Well, one thing led to another and Bill signed the cover... he signed the ENTIRE cover. Apparently Bill tore back the plastic and signed his name huge across the front cover of the game box. It was amazing... and not exactly what the owner of the game was expecting. But that was Bill and it was great. And now he is gone. 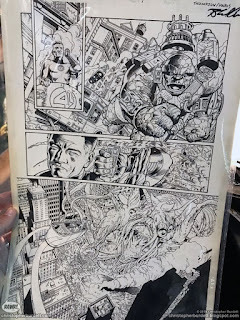 I received permission to share a never released piece of Bill's work. 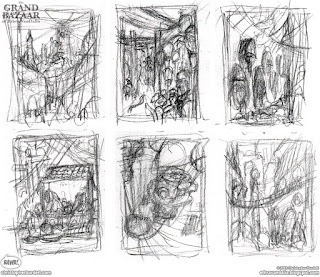 Back in 2007 Bill created the box art for the Serrated Dawn set of the WotC miniature game, Dreamblade. 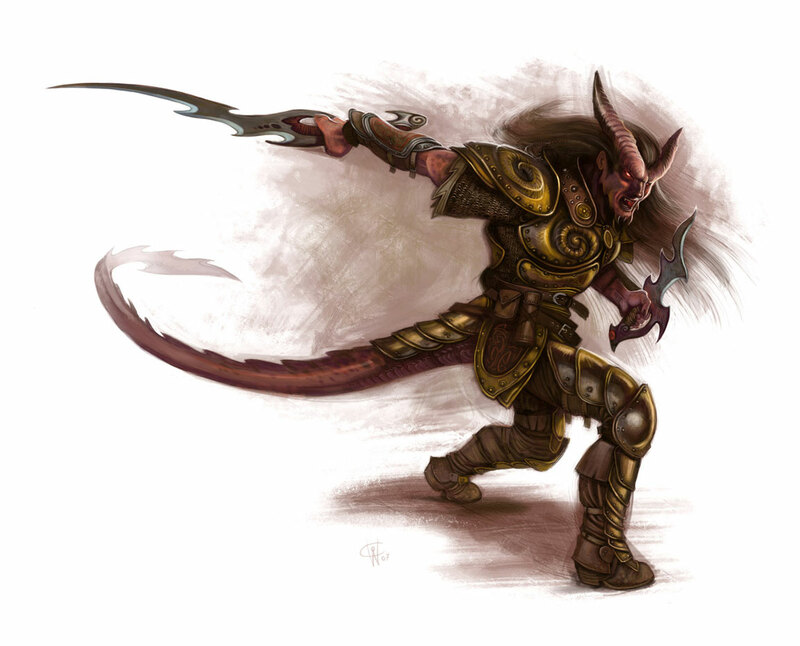 Serrated Dawn was never released and all of the art associated with it was shelved. 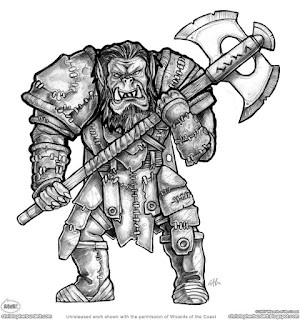 As you my know, I designed a lot of miniatures for that game. 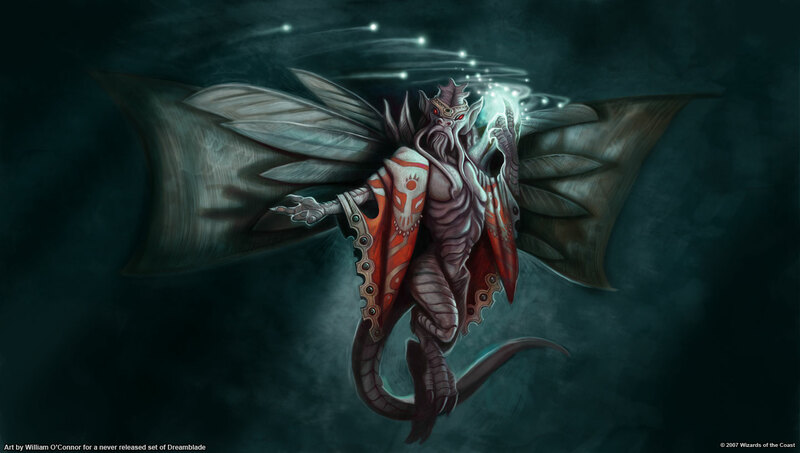 One of the pieces that Bill did for the box art was based on one of my designs, the Dragon Ambassador, which is how I know about it and have a copy of the art. As far as I know this has never been shared publicly which is why I wanted to get permission before sharing it. I always loved this piece and was glad to just know of its existence even though it was never used. Now you can know about it too! The good folks at Pixeljam are at it again! 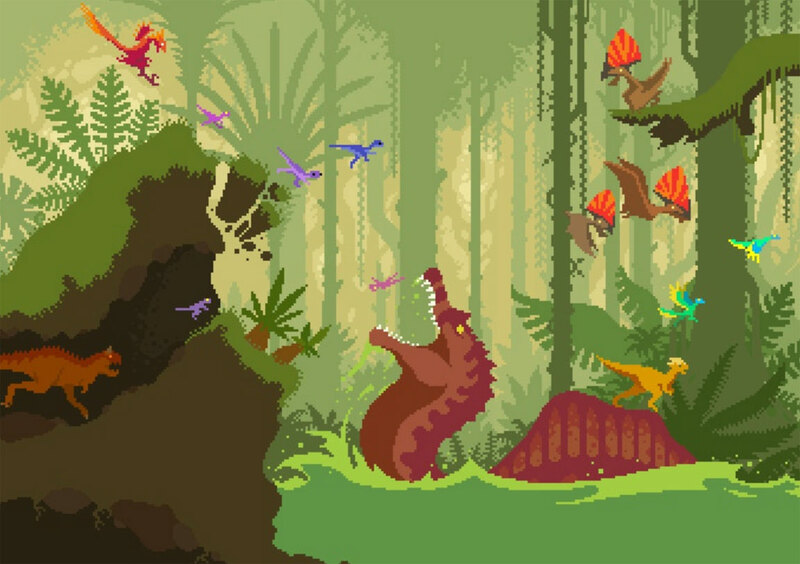 Pixeljam is currently running a Kickstarter to fund the production of Dino Run 2, the sequel to the smash hit Dino Run. I have spoken about Pixeljam here on the blog before, and I can not speak highly enough about them and their work. I have known Miles and Rich since college and they do great work and make fun games. I STRONGLY urge you to take the time to head over and check out their Kickstarter and hopefully support it. 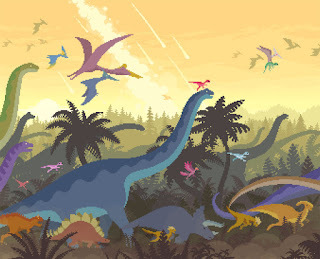 If you like super fun games, dinosaurs, or super fun game about dinosaurs... then Dino Run 2 is the game for you! 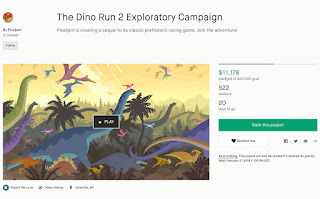 Dino Run 2 Kickstarter is now live! Over on the Dino Run 2 Kickstarter you will see all kinds of great sample art, VIDEOS(! ), and more. They have a lot planned out and there are many ways for you to get involved with making this campaign a reality. Did I mention that there were game play snippets that you can watch? Pixeljam has a lot in store and I can't wait to see how the final game turns out! 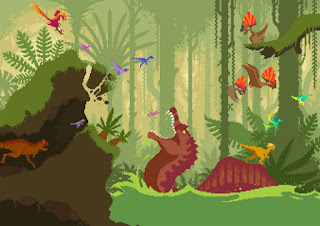 I can't say it enough, please go check out the Dino Run 2 Kickstarter and see with your own eyes what they have planned! RAWR!